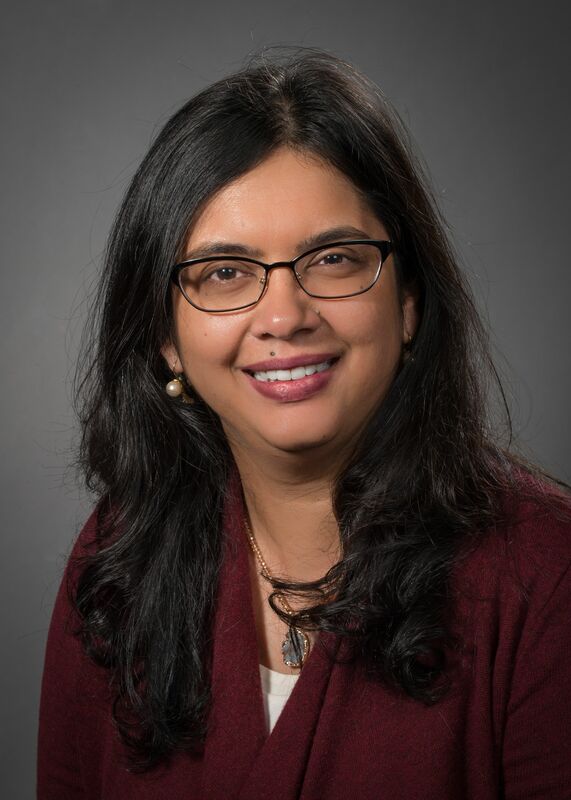 Dr. Sonali Narain is a board-certified rheumatologist with over 15 years of experience in rheumatology through her research and clinical experience. She currently serves as the Director of the Scleroderma and Raynaud Treatment Center and Epidemiology, Outcomes and Patient-Oriented Research in the Division of Rheumatology at Northwell Health. Dr. Narain graduated from medical school in India and moved to the US for her Masters in Public Health-Epidemiology at the Univeristy of Florida, Gainesville, FL. It was here that her journey in rheumatology began. She initially worked in translational research in studying biomarkers in rheumatic diseases under the mentorship of Dr. Westley Reeves. She then moved to Massachussettes where she completed her Internal Medicine Residency training at Metrowest Medical Center, Framingham, MA. This was followed by a fellowship in rheumatology at Hospital for Special Surgery, New York NY. During her fellowship, under the mentorship of Dr. Jane Salmon, her research was focussed on characterizing the role of S1P dysregulation as a pathogenic factor in vascular injury in SLE. This proposal was awarded funding through the Empire Clinical Research Investigator Program (ECRIP) in 2014. She has authored papers and textbook chapters and also presented at national meetings. She is an active member of the Americal College of Rheumatology (ACR). Narain S, Furie R. “Update on clinical trials in systemic lupus erythematosus.” Curr Opin Rheumatol. 2016 Sep;28(5):477-87. Li Y, Lee PY, Sobel ES, Narain S, Satoh M, Segal MS, Reeves WH, Richards HB. “Increased expression of FcgammaRI/CD64 on circulating monocytes parallels ongoing inflammation and nephritis in lupus.” Arthritis Res Ther. 2009;11(1):R6. Yamasaki Y, Narain S, Yoshida H, Hernandez L, Barker T, Hahn PC, Sobel ES, Segal MS, Richards HB, Chan EKL, Reeves WH, Satoh M. “Autoantibodies to RNA helicase A: A new serological marker of early lupus.” Arthritis Rheum. 2007 Feb; 56 (2):596-604. Li Y, Tucci M, Narain S, Barnes EV, Sobel ES, Segal MS, Richards HB. “Urinary biomarkers in lupus nephritis.” Autoimmun Rev. 2006 Jul; 5(6):383-8.